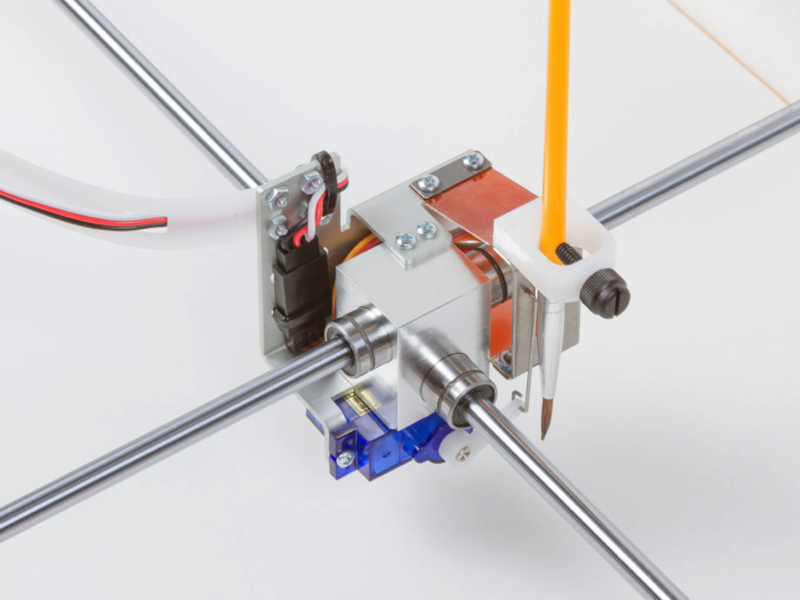 NEW PRODUCT – Super Awesome Sylvia’s WaterColorBot – 2.0 « Adafruit Industries – Makers, hackers, artists, designers and engineers! 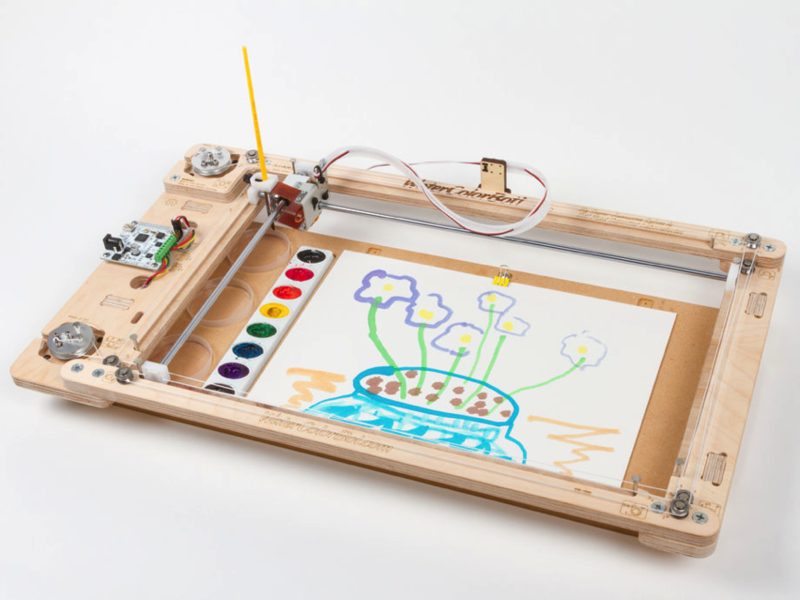 The WaterColorBot is a friendly art robot that moves a paint brush to paint your digital artwork onto paper, using a set of watercolor paints. WaterColorBot is a collaborative project from Evil Mad Scientist Laboratories and Super Awesome Sylvia. 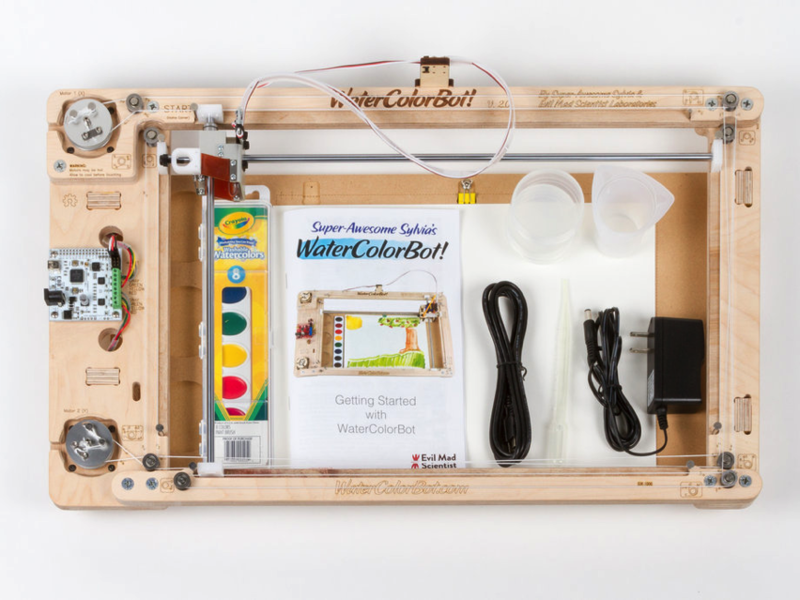 Starting with vector artwork on your computer — or following along as you sketch in real time — the WaterColorBot dips its brush in water, goes and gets the right color of paint, and paints before your eyes. 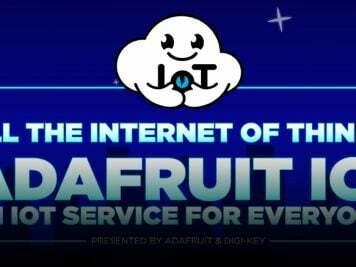 The WaterColorBot works with standard and common watercolor paints, pens, and paper, so that you never need to purchase expensive or proprietary supplies. It is made in the USA with a tough and sturdy wooden frame built to last for years of use. A computer with USB is required. Mac, Windows, and Linux (Ubuntu) are all supported.